Oh-Ho-Ho, It's The 2007 Chevy Aveo! Chevy dropped the tarp on the 2007 version of its 37 mpg subcompact, giving one of us the opportunity to see it up close and personal, even allowing us to lay our hands on the supple perforated leather leather-like leatherette interior (at only $250 more!) and stroke the many included amenities (can someone say aux in?) in this value-oriented car. Although there were no test drives today boys and girls — we can tell you that this car is all about saving you the benjamins, so although what we hear about the performance leaves much to be desired (including the days best quote — "Does the 13 second 0-60 performance give you cause for concern? ")you can basically afford it with a newspaper route — the 4-door we saw has a base price of $12,395. Check out the pics below and click the jump for the press release. Only 2.5 years since it was introduced, Chevrolet introduces a redesigned Chevrolet Aveo sedan. The 2007 Aveo sedan boasts an all-new exterior and roomy interior design characterized by youthful refinement; a more confident, dynamic driving experience and generous features usually seen in more expensive cars. It was designed to challenge expectations of what an entry-level car can deliver. "Customers will recognize the Aveo sedan as a 'smart buy' that delivers on Chevy's Total Value Promise," said Ed Peper, Chevrolet general manager. "With its good looks, enjoyable driving experience and 'big car' personality, Aveo plays a big role in Chevy's passenger car family." In redesigning the sedan, the Aveo team reached beyond the important affordability factor to overachieve all-around, with great design, a smooth, safe driving experience and amenities that until now were rare in the segment. 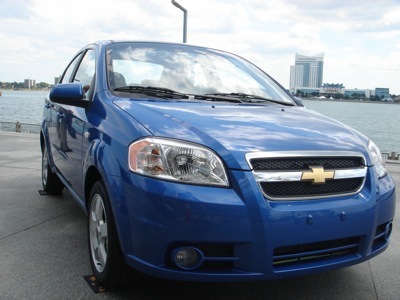 The 2007 Aveo sedan is available in LS and LT models, and illustrates Chevy's philosophy of offering more for less. Both models offer many standard features and an impressive range of options. The 2007 Aveo sedan builds on advancements, such as standard side-impact air bags, implemented during the 2006 model year. The new LS and LT sedans join the Aveo5 hatchback LS and Special Value Model. (Please see separate release for more information on Aveo5). The Aveo sedan is well-equipped, with standard features that include a five-speed manual transmission; 1.6L 16-valve E-TEC II DOHC that delivers 103 horsepower (77kW) and 107 lb.-ft. of torque; air conditioning with cabin filtration and rear-seat air vents; vented front disc and rear drum brakes; stainless steel exhaust; and front MacPherson strut suspension with rear semi-independent with torsion beam suspension.  The 2007 Aveo sedan is high in style and progressive in attitude. It is longer, wider and taller than its predecessor and features crisp, sculpted lines and a wide, confident stance. The design skillfully creates the illusion of a larger car through attributes such as contoured side feature lines that rise from front to rear, pronounced "shoulders" over the wheel openings and body-color door sills. Aveo sedan's V-shaped hood lines point to its distinctively Chevy front fascia, which boasts a chrome-accented grille with prominent cross bar and iconic gold bowtie emblem. The sedan's new, more assertive and dynamic look is highlighted by premium cues, including three-dimensional, richly detailed headlamps that extend into the hood, available front fog lamps and bold, round taillamps, which are set within jeweled bezels. Contributing to Aveo sedan's more aerodynamic design is the incorporation of the radio antenna into the rear glass. Extensive wind tunnel testing also helped reduce the coefficient of drag from 0.348 to a more slippery 0.326, compared to the previous model. The redesigned Chevy Aveo sedan represents the new global face of Chevrolet design for the more than 120 countries where Aveo is being introduced. The new Aveo sedan cabin reflects a youthful interpretation of refinement. Its signature "tall car" design and generous dimension offer ample interior space - capable of accommodating passengers more than 6 feet tall in each of the five seating positions. An enhanced combination of sound-dampening technologies and improved aerodynamics provides a quiet and comfortable ride, even at higher speeds. The contemporary appearance of the 2007 Aveo sedan's interior is achieved through integrated components, meticulous craftsmanship and complementary colors in three different interior design packages. Striking features, including a two-tone scheme, rich instrumentation; attractive accents (metallic grain and satin chrome for charcoal and charcoal deluxe cloth upholstery, respectively; wood grain appearance for neutral cloth and neutral deluxe cloth and available neutral perforated leatherette) provide visual and tactile interest. Precision in fit and finish details caps the Aveo sedan's high-quality appearance. The sedan's interior was designed for maximum comfort and convenience, which is evidenced in elements such as standard tilting front-seat headrests, a folding driver's armrest and lower-profile rear-seat headrests. Additional conveniences include dual visor vanity mirrors, a sunglass holder on the driver side headliner, door and seatback storage pockets; and clever hooks, located on headrest posts, that can hold items such as backpacks or shopping bags. Theater-style rear seating provides a commanding view for all passengers. A fully reclining front passenger seat and a 60/40-split folding rear seat expand Aveo's interior cargo capacity, enabling long items, such as skis, to be carried between the trunk and passenger compartment. The trunk offers 12.4 cubic feet (350L) of storage space, more than the previous model. Aveo sedan's radios are derived from GM's new family of premium radio systems, distinguished by upscale appearance, simplicity of operation and range of features and capabilities. An auxiliary input jack for iPods, satellite radio accessories and other devices is standard on all radios. The base radio is an AM/FM stereo with four speakers. A CD/MP3-capable ratio with six-speaker sound system is available, as is a six-disc in-dash CD changer radio. Steering wheel audio controls are available. A high-quality driving experience comes from a strong vehicle body that is well insulated. Extensive sound insulation, enhanced even further for 2007, helps minimize wind, road and engine noise inside the cabin. Even the stainless steel exhaust system is tuned to reduce noise. The 2007 Aveo sedan was engineered and validated for a broad range of driving and road conditions around the world and tuned for a dynamic, well-planted driving experience. The chassis systems on the 2007 Aveo reflect further refinements of features developed for the 2006 models, which were enhanced significantly compared to earlier versions of the car. The suspension system begins with a MacPherson strut front suspension with coil springs and stabilizer bar and an independent torsion beam axle mount compound link-type rear suspension with gas-charged shocks. Power-assisted, variable-rate rack-and-pinion steering is standard. The steering gear is mounted on the front suspension cross member for precise action and stability. Standard on the Aveo sedan are power-assisted front disc and rear drum brakes; a four-channel ABS system is available. The four-sensor - one at each wheel - system incorporates electronic brake force distribution, which balances braking performance based on factors including road conditions and the weight of passengers and/or cargo. For 2007, the focus is on delivering more refined, precise ride and handling characteristics for more confident high-speed road command and agile, responsive control, especially in more demanding driving situations such as rapid lane changes at highway speeds. A wide, solid stance and long wheelbase (97.6 inches / 2479 mm) with a front tread of 57.1 inches and rear tread of 56.3 inches (compared to 55.5 inches in 2006) deliver a smooth, confident, stable ride. This wide footprint is among the best in class, making the car very surefooted, imparting a sense of confidence and stability among driver and passengers. A 17-mm front stabilizer bar combined with higher rate front springs and more highly damped front shocks minimize the amount of vehicle roll and increase the roll damping to provide more precise control for the driver. New suspension bushings also contribute to the precise handling control. This fully retuned suspension package provides a distinctively European-style performance and feel. Fifteen-inch, five-spoke aluminum wheels are standard on LT and available on LS, which also offers available 14-inch aluminum wheels. Fourteen-inch steel wheels with a redesigned bolt-on wheel cover are standard on LS. Powering Aveo is GM's proven, sophisticated 16-valve DOHC four-cylinder engine that produces 103 horsepower (77 kW)* and 107 lb.-ft. of torque (148 Nm)*. The engine is enhanced by an electronic throttle control, added for the 2006 model year, and variable geometry induction system, which help maximize power across the rpm range. Electronic throttle control enhances driveability and fuel economy, while reducing emissions. A smooth-shifting, five-speed manual transmission is standard. The available Aisin four-speed automatic transmission features adaptive shift technology. The segment-exclusive Hold Control Mode special feature helps reduce wheel spin and traction loss on slick roads by allowing the driver to select and hold a higher gear, which reduces torque to the wheels. It enables sportier driving operation by allowing the driver to control shift points similar to manual transmission operation. Whether the manual or automatic transmission is selected, the Aveo powertrain is fuel-efficient. Estimated EPA fuel economy is 27 mpg city/37 mpg highway for the manual-equipped Aveo sedan and 26 mpg city/34 mpg highway for the automatic-equipped Aveo sedan. ** Aveo meets the ULEV II emissions standard which, along with its outstanding fuel economy, makes it one of the cleanest, most economical vehicles available in North America. The Aveo sedan experience is enhanced by a comprehensive system of safety and security technologies designed to meet safety standards in markets around the globe. For the 2006 model, the National Highway Traffic Safety Administration (NHTSA) awarded Aveo a five-star rating in the frontal crash test for both the driver and front passenger. Aveo's safety starts with a high-strength steel structure that creates a safety cage around the passenger compartment. The structure has been engineered to help maintain passenger compartment integrity and features tailor-welded blanks, a feature not typically found on vehicles in the segment. The 2007 Aveo sedan includes standard advanced dual-stage frontal air bags and the Passenger Sensing System. The dual-stage frontal air bags deploy at different levels, depending on the severity of the crash. Standard seat-mounted side-impact air bags provide additional head and thorax protection. In 2005, 68,085 Aveos were sold in the United States, signaling that there is an opportunity for growth in the small but important subcompact segment. The Aveo lineup attracts the highest rate of first-time buyers of any GM vehicle, providing a great opportunity to earn these customers' long-term loyalty. Like the small, premium-car Cobalt family and the HHR small crossover vehicle, Aveo also generates a high number of conquest sales. The Aveo is making inroads around the world, and will be sold in more than 120 countries under several nameplates (primarily under the Chevrolet brand). It is the top-selling car produced by GM Daewoo in Korea (GMDAT). About half of vehicles produced by GMDAT are Chevrolet models. The number is steadily rising as the expertise and quality record of GM's Korean subsidiary and Chevy's tradition of "more than expected" value increasingly resonate around the globe. The Aveo is the top-selling Chevy model in Europe and is a great contributor to the brand's global expansion. *A new voluntary power and torque certification procedure developed by the SAE Engine Test Code committee was approved March 31, 2005. This procedure (J2723) ensures fair, accurate ratings for horsepower and torque by allowing manufacturers to certify their engines through third-party witness testing. GM was the first auto manufacturer to begin using the procedure and expects to use it for all newly rated engines in the future. ** Based on GM testing. Official EPA estimates not yet available.